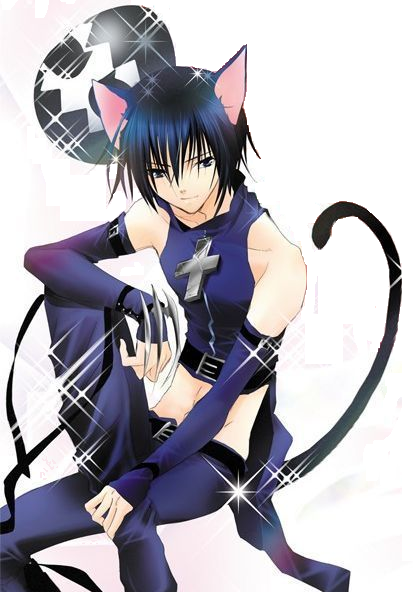 Appearance:Ciel is a young male that stands five feet in height, he has a well toned build yet its lean and very slender in a somewhat feminine manner. his skin is paleand his eyes are a dark sapphire blue his right eye covered with an eyepatch.his hair is a short grayish blue with bangs that hang over his eyes. he typically dresses in a way that suits his standing, and has an extensive end elegant wardrobe. In the anime, he usually wears a long jacket, button-down shirt, tie, shorts, knee-high gartered socks and boots or high-heeled pumps. Occasionally, he carries other accessories such as a top hat, white or black gloves, and a cane. He also has his ears pierced (usually wearing only plain, round, blue earstuds) - and typically wears two rings. One is an ornate silver piece holding an emerald-cut deep blue stone, a one-of-a kind family ring that has been passed down through his family for generations; he wears this on his left thumb, as it is an adult's ring and too large for him. The other is a gold seal, or signet, ring in the form of the family crest, worn on his right hand, and used to stamp the wax seal on documents. When he wears gloves, he wears the rings over them. Personality: Ciel comes across as being a mostly emotionless, cold child, focused solely on his business interests and his quest for revenge. Though, he is capable of portraying himself as an engaging, happy, easygoing individual, typically when undercover, but is quick to revert to being callous when he no longer has to hide his true self. Before the loss of his parents, however, he seemed to truly be a happy and energetic child. He has been shown slapping and insulting individuals for being too comfortable with touching or speaking to him. 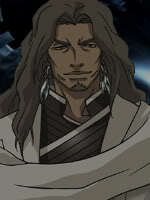 l. Note that the anime version of him is typically harsher and angrier in regards to his personality but does not cause as much harm and destruction.Though despite his somewhat cold demeanor he shows some care towards those who are close to him though if they are capable of defending themselves he doesnt show much concern. He Dislikes being toldwhat to do and prefers being the one to give orders. Description:By stepping into a shadow, Ciel can transport anywhere that he wishes. though he has to have been there in order for him to go there and he cant use this ability if light touches a shadow. Description: His eye glows a bright yellow with slitted cat like pupils. it allows him to see in complete darkness. Description: Ciel's sight, smell and hearing increase and hes more flexible,and more stealth like than a normal human. this abilities increase when hes in his released form. Description: By swiping hi shand he releases separate bursts of dark energy that heads towards his target. Having a similar effect of a sword except it causes twice the damage and it reaches longer distances. Description: Ciel can shoot a cero thats twice as powerful as a normal cero and it can travel through shadows to pursue an enemy. Description: In his unreleased form, Ciel combines his spiritual energy with shadows that allows him to patch up gashes and bruises.in his released form he can form shadows into limbs or form them over injuries and they'll heal. He can also use it on other people. In result he isn't strong physically but he makes up for it in speed and stealth. 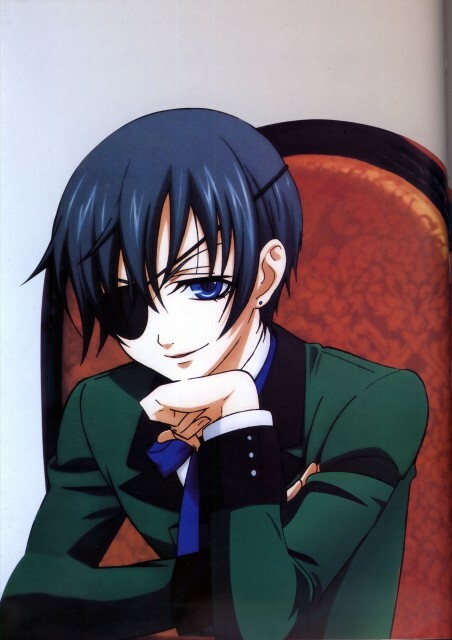 Ciel lived in a rich family, anything was given to him instantly. At the time he was an energetic and happy kind hearted child. Raised in a house of love from his parents. One day that all changed when his parents were killed in front of his own eyes and he was kidnapped. when the servents finally paid that ransom and sent him back he had become a sad,cold and bitter child due to the treatment he was given during his time in captivity. 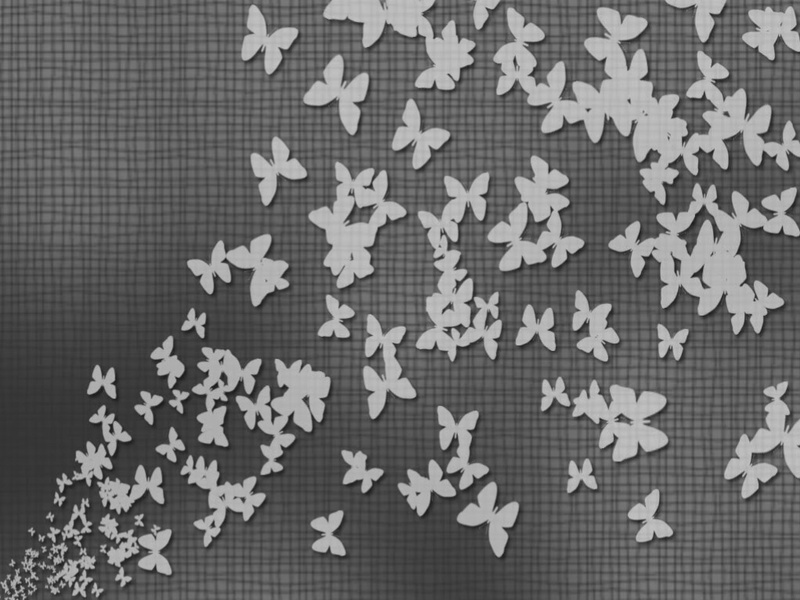 Ciel spent the next two years of his life seeking out his parents murderer and his own captives. Wanting nothing more than revenge. One day however when he found his captor. ciel engadged in combat. Knife against knife. The battle went on for quite sometime until Ciel grew exhausted and he left his right side open.the captor stabbed his blade into the boys side and thrusted up.cutting through the boys ribcage and his lung. Blood poured out of his mouth and nose as the boy fell to the ground and bled to death. Ciel opened his eyes and looked around to find himself in the same place he had died fighting.the ground beneath him was coated with dried up blood. Ciel felt his chest and heard faint clinkingnoises he looked down to see that a chain hung down from the center of his chest. Before he could ask questions, a hollow roared and he looked up to see the monstrous creature come towards him. Stunned, he was unable to move a muscle.but to his surprise a black robbed man with a katana came and deflected the hollow. At first Ciel was relieved since he assumed he was safe but all positive thoughts turned negative as he reconized the mans face as the one who took the life of his parents. Rage filled his heart and his chain became dark red. Ciel snuck up from behind the shinigami and forcefully wraped it around his neck. Restraining the shinigami which left it open for attack. The hollows claws ripped through the shinigami though it tore out thesoul chain of ciel. Pain coursed through his body and he screamed in agony as his soul broke apart and pieced themselves back together in a form ofa hollow. With a roar the hollow attacked the other one and killed it. Hollowfied ciel ate the corpse of the hollow and disappeared into a garganta. Ciel spent his hollow years eating hollows and souls, until reaching the stage of a menos. Where he ate other menos and hollows until he became an Adjucha. In his Adjucha state he looked like a black panther with glowing yellow eyes. The panther escaped from the menos forest and wandered into the desert. Hunting for weak arrancars to consume. As he reached las noches a man that had the spiritual energy of a shinigami yet clothed in arrancar attire approached him with a calm smile. "welcome to the army" was all he said when he pulled out a small sphere and everything went black. Ciel awoke to find himself back in his human form though this time he had a katana at his side and an eyepatch over his right eye. He disposed the leader known as aizen because of the fact he was a shinigami. And stood back when the war went on. After the war was over and new leaders stepped up. Ciel stuck around having nothing better to do. What do you mean, tail? also you cant shadow step in a fight, unless its to flee.